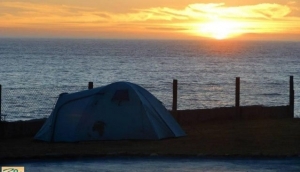 Camping doesn't have to be uncomfortable; tents can easily be hired and there is usually a wide range of good quality and well maintained services and facilities available. There are 113 campites in Galicia reflecting the enormous variety of wonderful places to visit. From the breathtaking, awe inspiring, Cies Islands to the Galician mountains - campsites which take the visitor into areas of outstanding natural beauty but with environmental policies designed to minimise impact. The perfect spot to pitch a tent, with sea views and plenty of activities to keep you entertained. As well as wooden bungalows for those who aren't fans of sleeping bags.